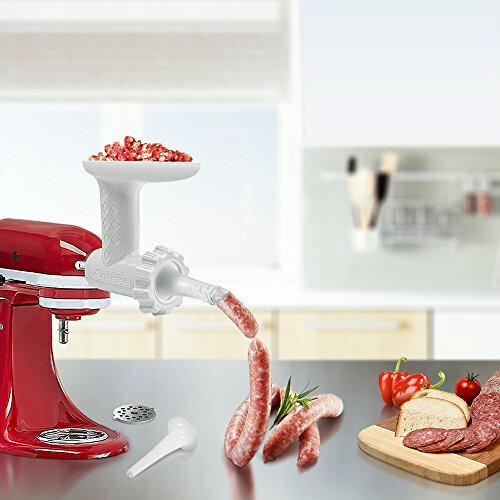 Using a food grinder with sausage filler attachments,you can easily get the most from your KitchenAid mixer. 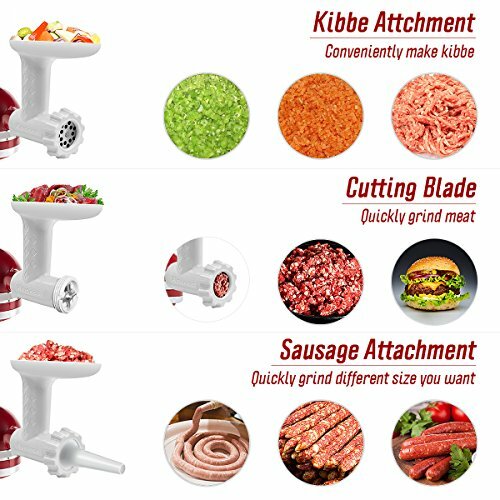 The food grinder is attached to to the top of your tilt head KitchenAid Stand mixer, quickly grinding meats, vegetables and cheese. 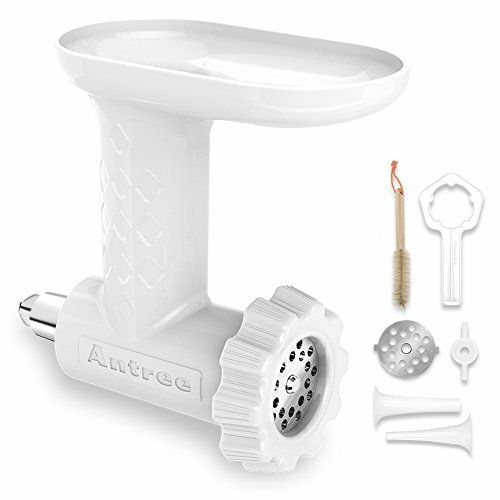 Use the motor’s power to operate these attachments on your KitchenAid Stand mixer. 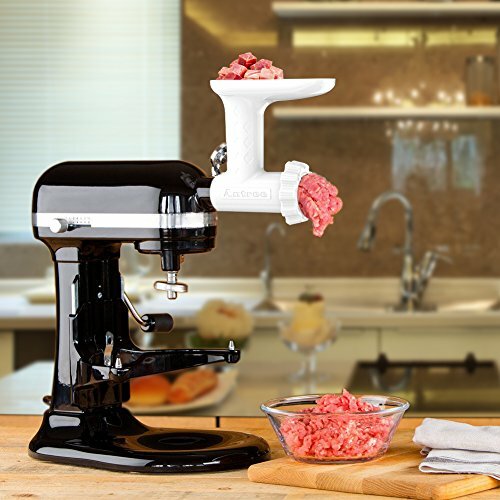 Transform your KitchenAid Stand Mixer into a multifunction food grinder and use the power of the motor to help you solve a variety of tasks. 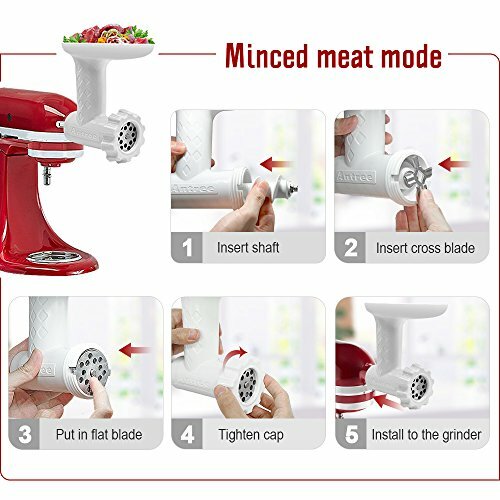 Coarse plates are used for grinding raw or cooked meats, nuts and vegetables,dried fruits and cheeses. 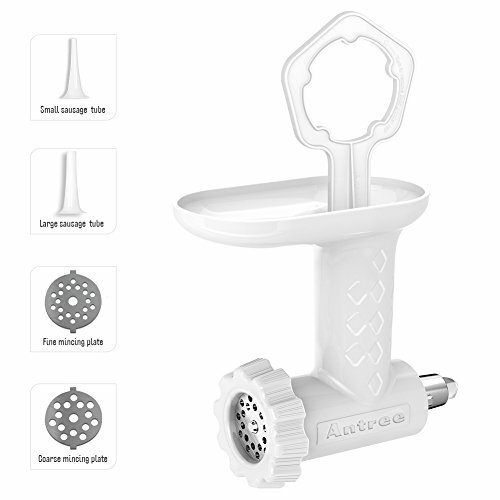 1.Please always use the food pusher. Keep your fingers out of the opening. Keep away from children. If you do not do this, it may result in amputation or cutting. 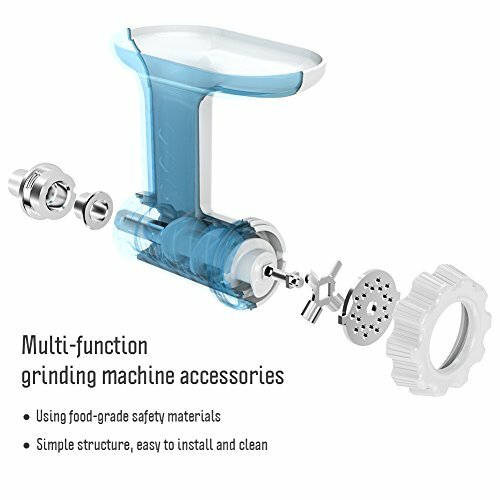 2.The Grinder machine body, grinding spiral, food tray and locking ring are finished with die-cast aluminum polishing, they are not suitable for dishwasher, only for hand washing.